Book Adventures: YA Wednesday: Emerald City Blog Tour & GIVEAWAY! YA Wednesday: Emerald City Blog Tour & GIVEAWAY! Welcome to this stop on the Emerald City blog tour! Since other sites have done, and will be doing reviews for this book, I'm going to post a little bit of trivia. You can also enter a giveaway for an eCopy of Emerald City at the end of this post! For other stops, click the image above. 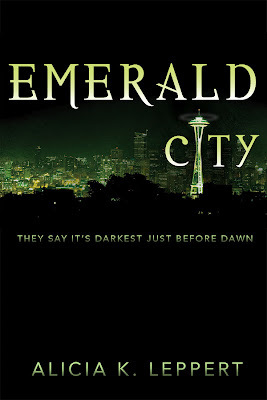 Emerald City is the contemporary, YA debut of author Alicia K. Leppert and will be released this April 10th. Alica lives in Pasco, Washington with her husband and two children. Aside from writing (which she has been interested in since first grade--way to go! ), she also decorates cakes! Isn't creativity grand? So many outlets! If you'd like to learn more about Alica, read her list of 10 interesting things. If you that isn't enough, visit her list of 90(!) additional facts. On first glance, you'll see the Space Needle on the cover of Alica's book. The setting is Seattle, Washington, of course. But did you know that Seattle is also known as the Emerald City? I didn't know this until my husband, who's family now lives in Seattle, enlightened me. But why exactly does Seattle have that nickname? I've found several explanations. One guess is because there is a wizard in Seattle, just like in the Emerald City, Oz, in Frank L. Baum's Oz series. This wizard may be either Jeff Bezos or Bill Gates. Another guess has something to do with the Space Needle and green light. Other guesses, closer to the real explanation say it's because of the evergreen trees. Prior to the Emerald City nickname, Seattle was called the Queen City. Other nicknames are Jet City and "the gateway to Alaska", but that last one is a mouthful. Olivia Tate is a broken shell of a girl haunted by the tragic events that fill her past. She has closed herself off from the world, each day grasping at something—anything—to live for. Convinced there will never be a way out, she seeks solace in the depths of her medicine cabinet. When she wakes up days later in the hospital she is introduced to Jude, the quiet stranger responsible for saving her life. She never could have guessed then that her mysterious rescuer would end up saving her life a second time, while simultaneously turning her world upside down. 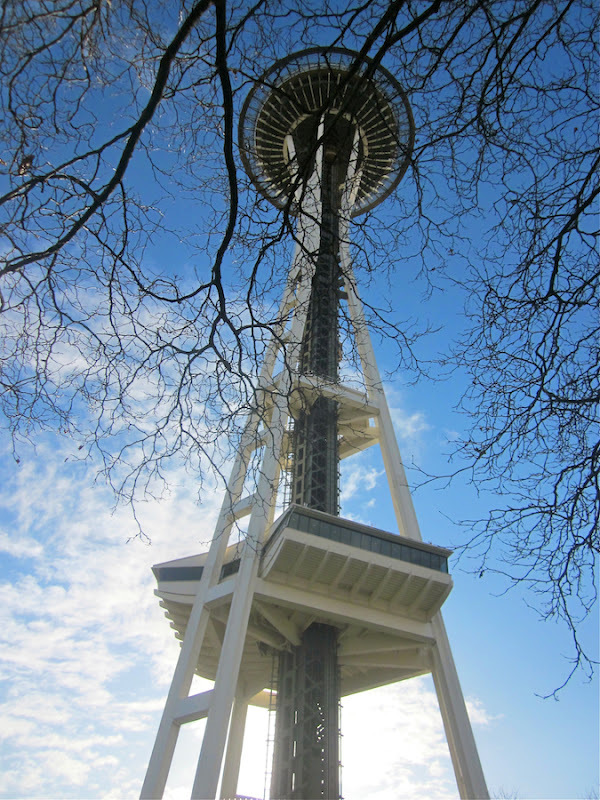 I visited Seattle, and Washington state, for the first time this past December. It was definitely windy and also rainy. We did go up to the top of the Space Needle, but I can't find any pictures to prove it. I just have one picture that I took while at the base of the Needle. We also went to Pike's Place Market which is a fun place packed with way many people. I wont say too many because that's just how places like that are. And I say fun because there were so many tables of wares and foods! I wish I had had more time to explore. * Leave a comment with your email address and desired eFormat. Interesting facts! I definitely learned some things! Thanks for being on my tour!